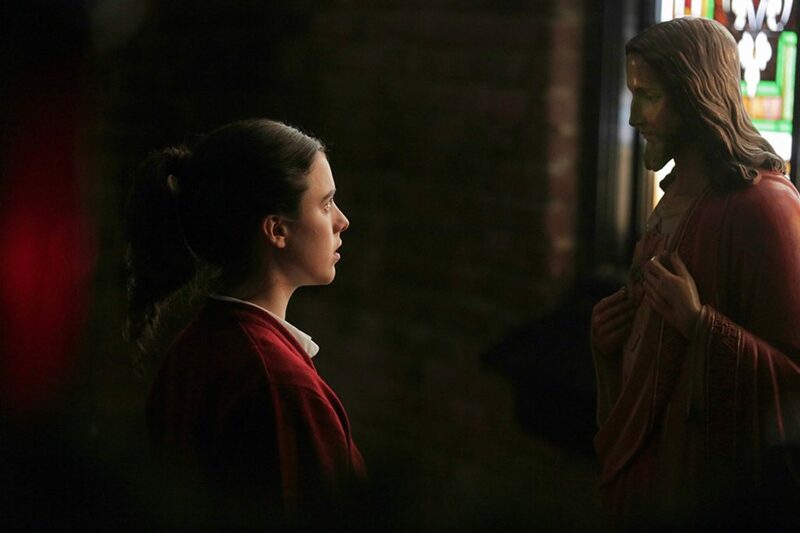 Stellar performances, especially by Melissa Leo as the Mother Superior and Margaret Qualley as the featured novitiate, and a tight screenplay well directed by Ms. Betts, yield a compelling look at a convent during the advent of Vatican II. Issues of faith, calling, Catholic restriction and the ways of nuns before reforms are highlighted, much to the Church’s detriment. We see the suffering of young girls in the midst of trying to discover their calling, and the oppression of Catholic authorities in dealing with any questioning of dogma, power or sexuality. A strong Should See. A.O. Scott in the NY Times: “Ms. Betts refrains from easy, uplifting answers and facile condemnations of organized religion. Aided by Kat Westergaard’s warm, restrained cinematography, she takes the viewer close to an understanding of Cathleen’s evolving sense of her relationship with God. This entry was posted in Cinema and tagged Cinema, Margaret Qualley, Melissa Leo, Should See, Top 2017, Top Performance 2017.